A mixture of freezing rain, sleet and rain was falling in the Bangor region, March 27, 2017. A winter storm is bringing snow, sleet, freezing rain and rain to northern New England. The forecast calls for mixed precipitation Friday morning before temperatures rise and it turns to rain in Vermont, Maine and New Hampshire. 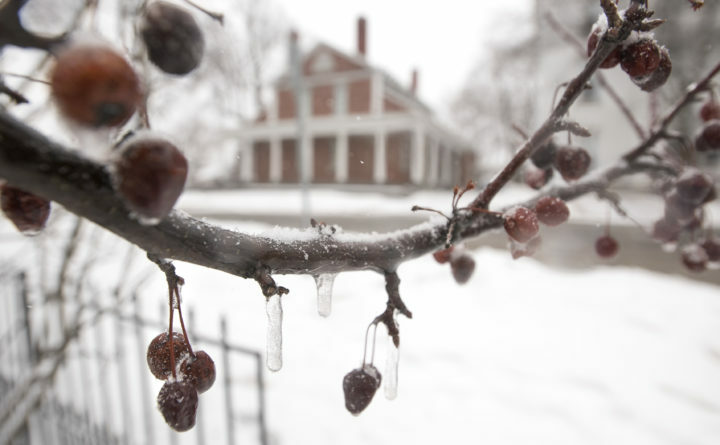 Up to 4 inches of snow and a glaze of ice is possible in some areas. It’s the first snowfall in most parts of Maine in 11 days. William Watson from the National Weather Service said the western mountains will see up to 4 inches of snow. On the coast, Portland will see only about an inch before the snow transforms to rain. High winds are also expected in some areas. Northwestern Vermont could get gusts of up to 55 mph.